Are you in Colonia ? Can you play as part of a team ? Do you like a bit of adventure and love playing Elite Dangerous? If it does then click HERE and join us now!! 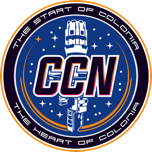 The CCN Faction needs YOU! Another Expansion. Welcome to Rodentia!